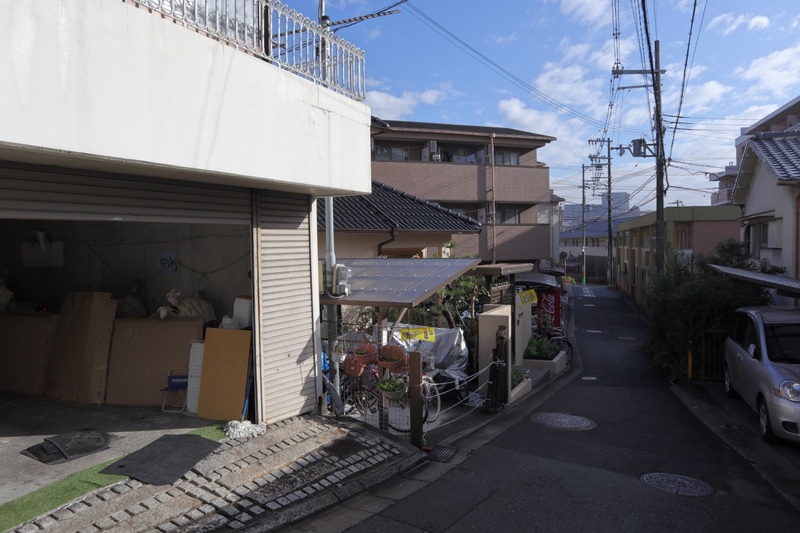 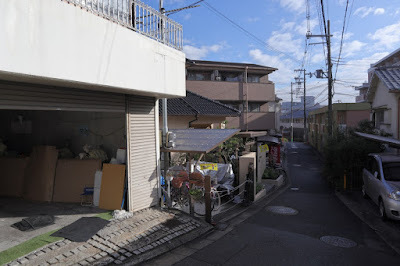 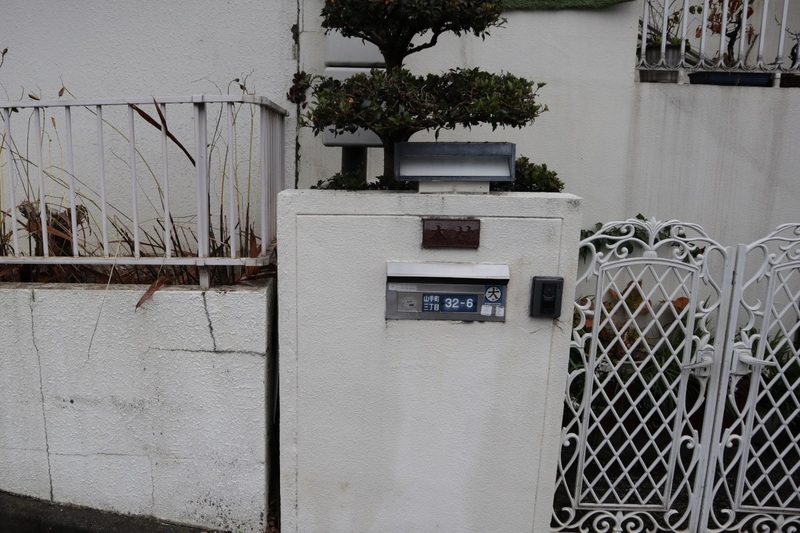 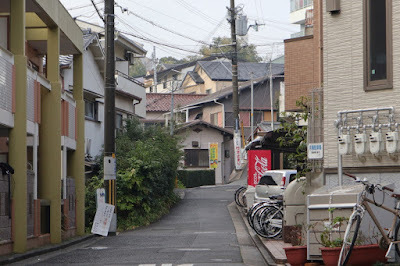 A short walk from Kandai-Mae Station in Osaka there's a small side road that's shown in Clannad After Story. 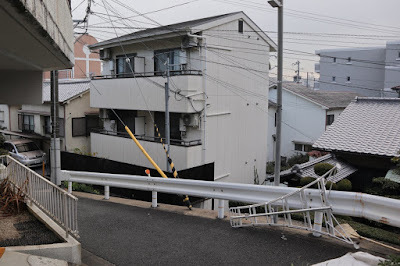 On the side road facing southeast. 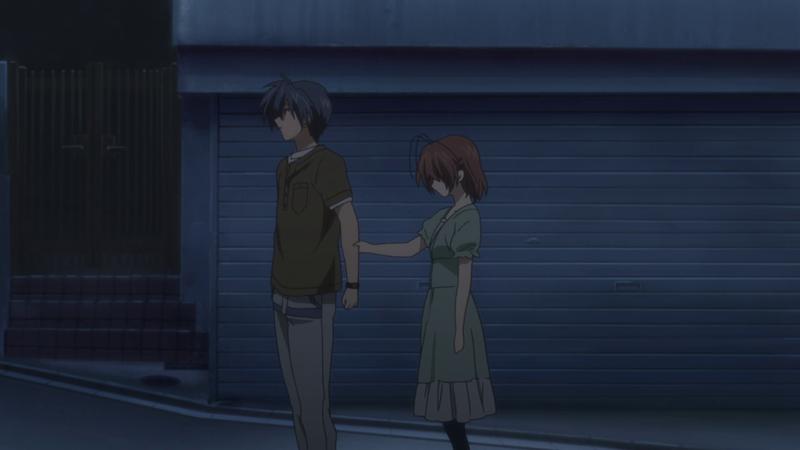 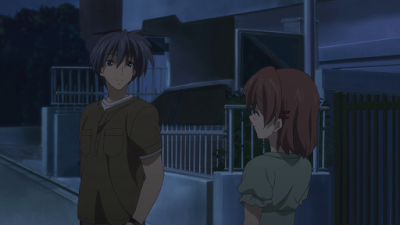 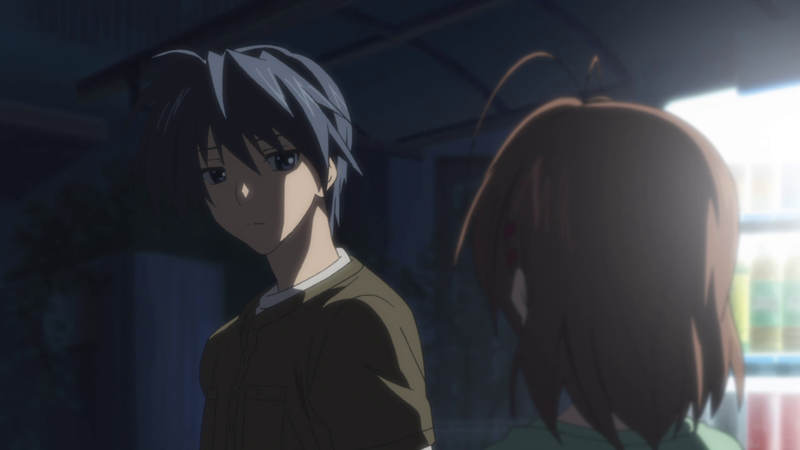 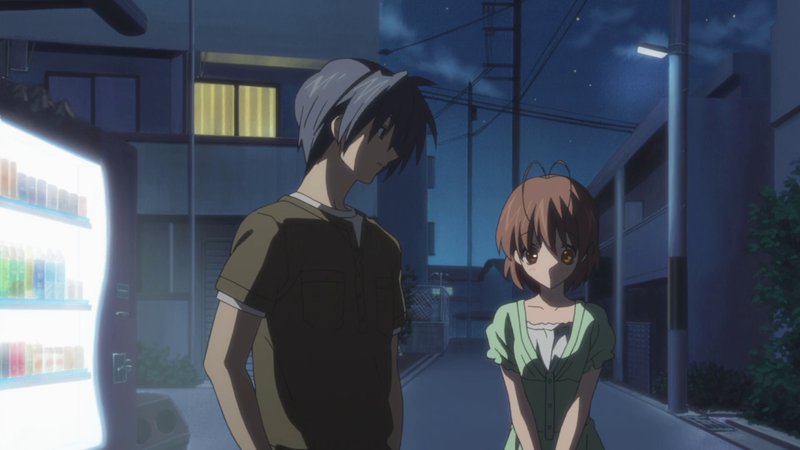 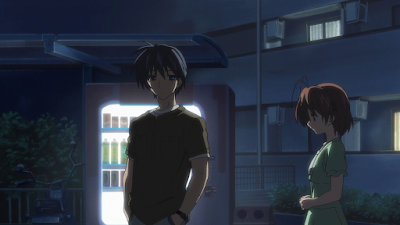 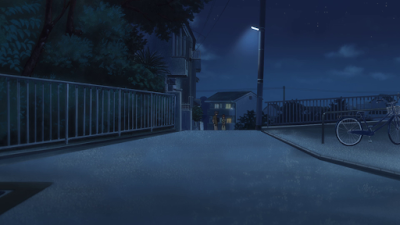 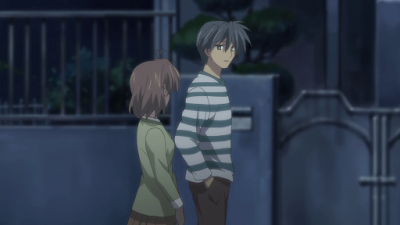 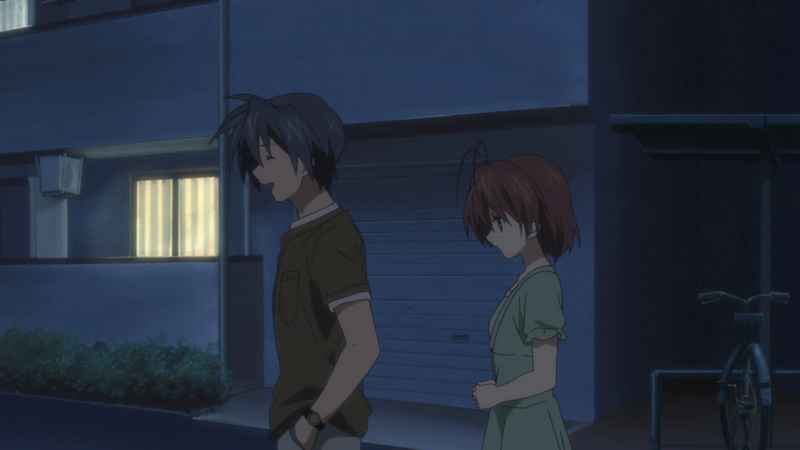 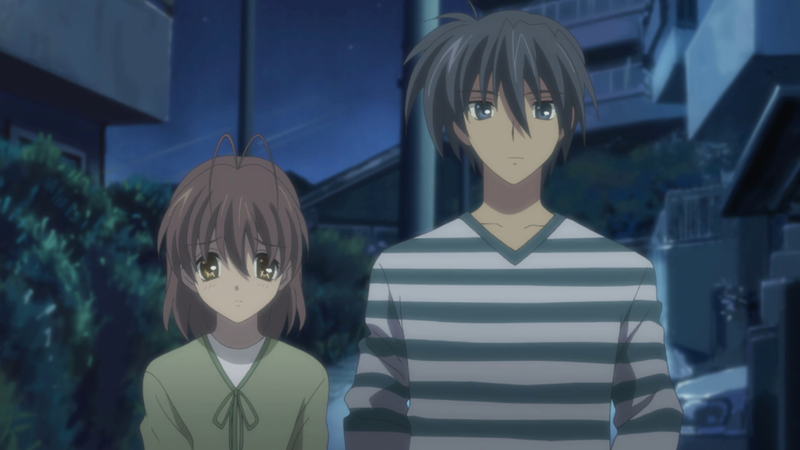 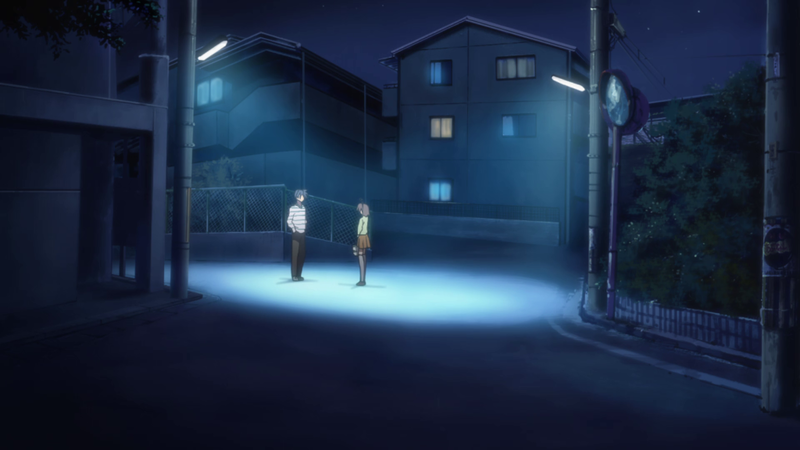 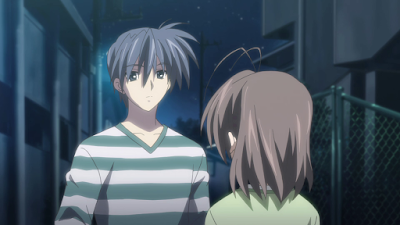 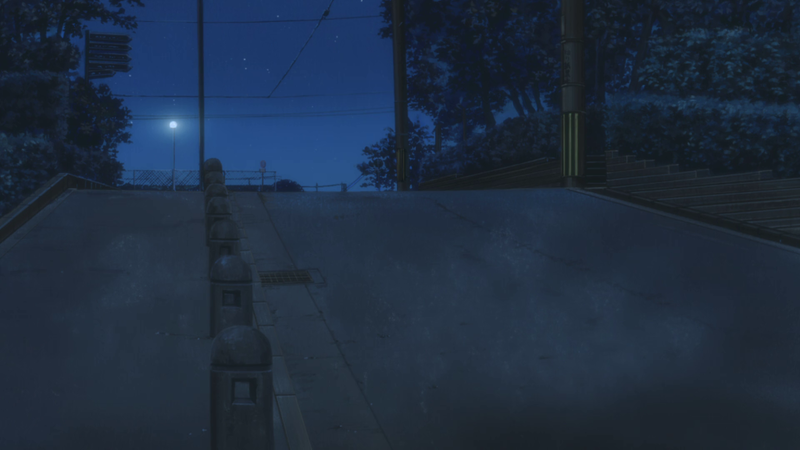 Tomoya and Nagisa walking down the side road. 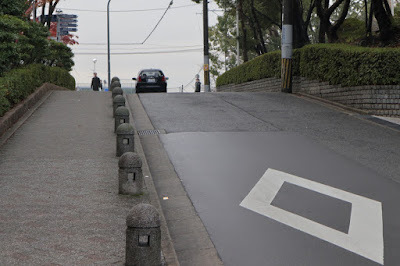 The side road is the one on the right here. 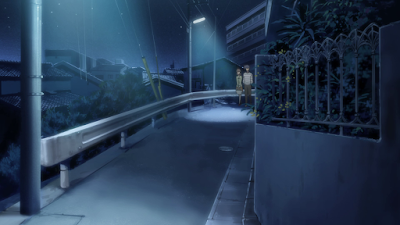 A new building has been built in front of the two seen in the background in the anime. 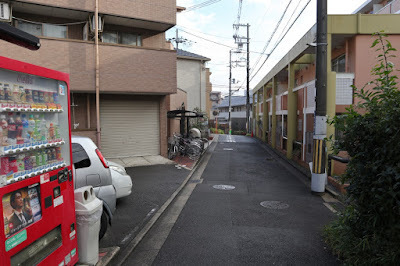 You can barely see the side road in the picture here behind the vending machine. It's quite difficult to get the exact angle here because of the utility pole at the bottom of the side road. 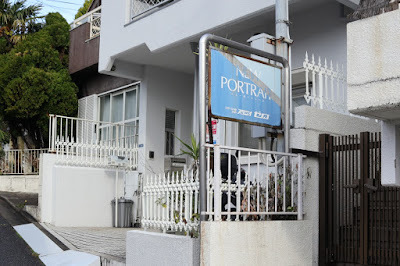 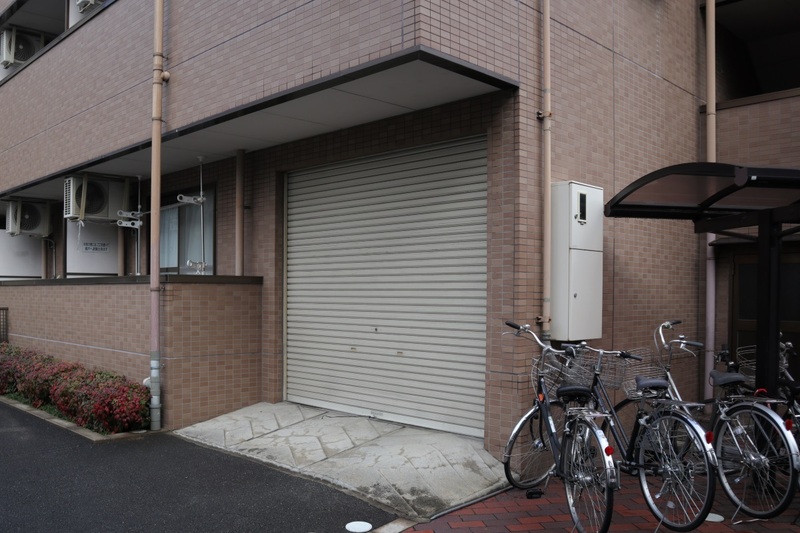 Tomoya and Nagisa walks past this building. 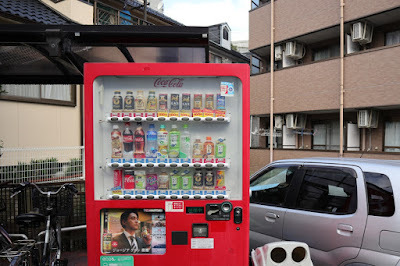 And stops in front of this vending machine. 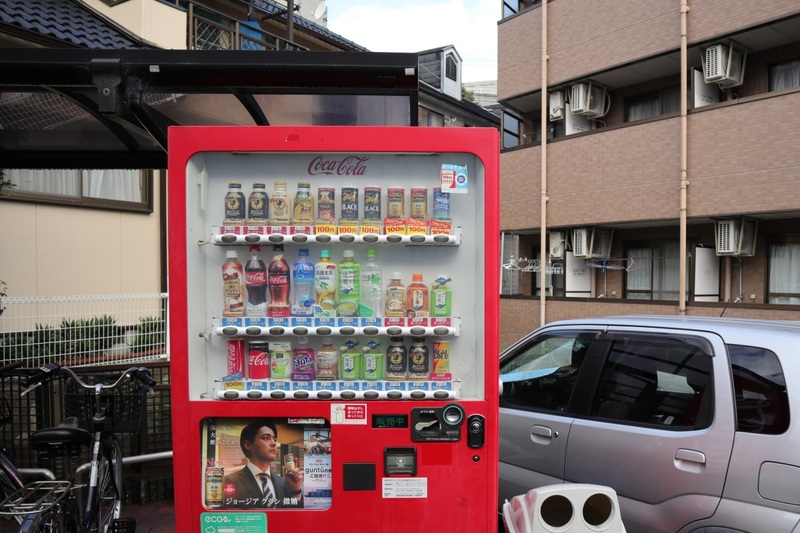 This is the same vending machine as above. 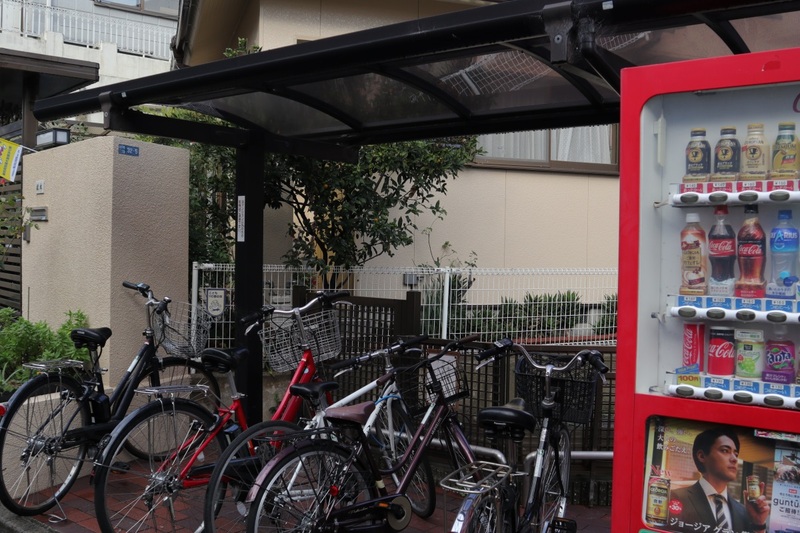 Bicycle rack next to the vending machine. This is at the top of the side road. The sign behind Nagisa still seems to be the same. The garage door seems to have been removed since the show was made. 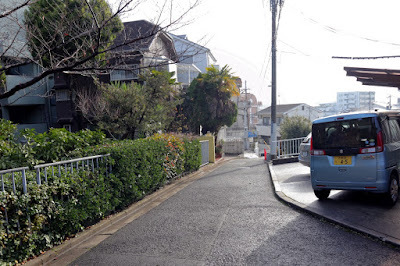 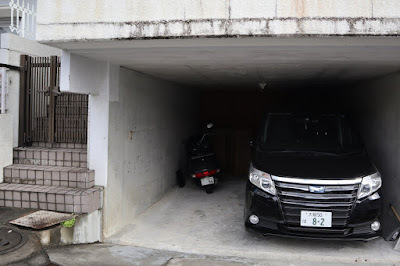 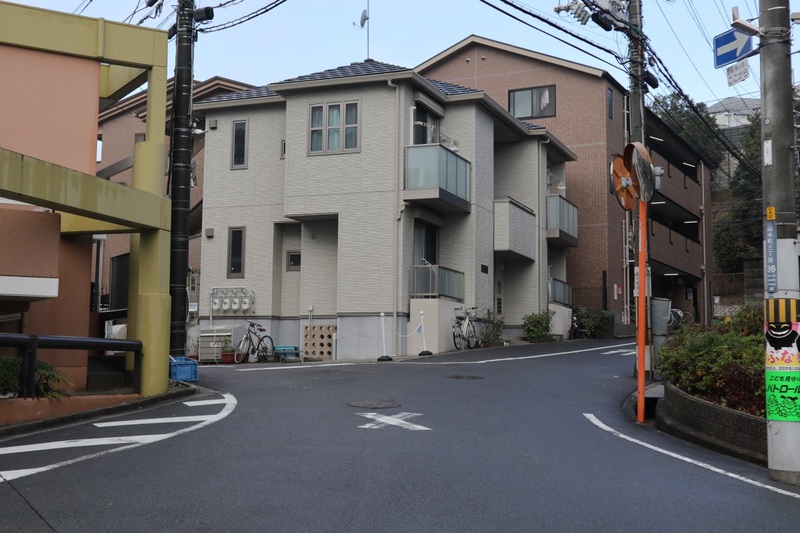 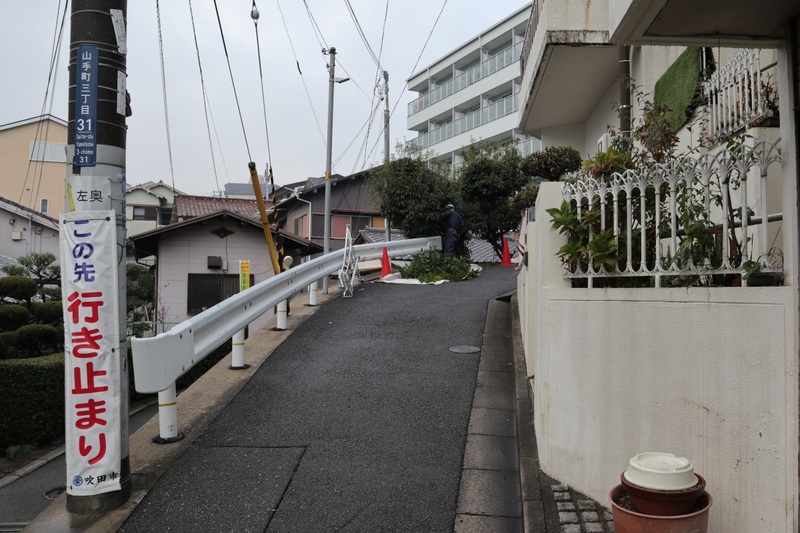 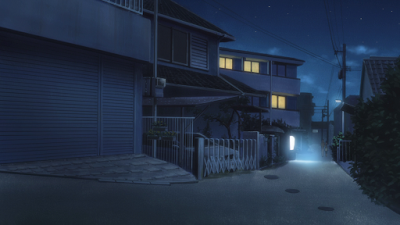 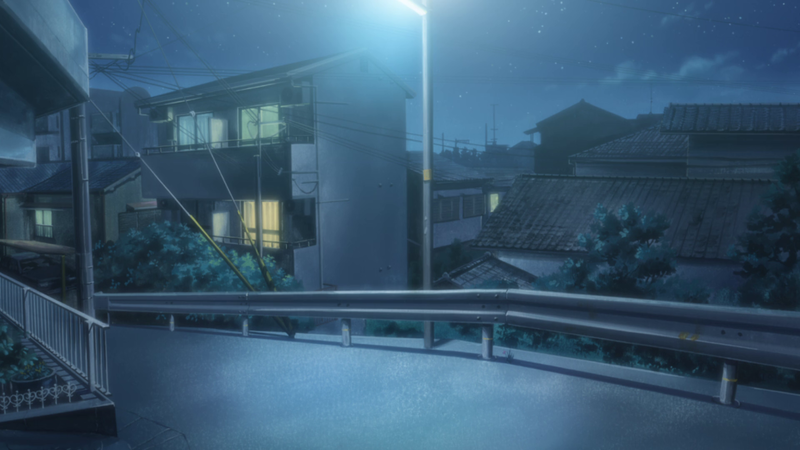 This is another road nearby which is also shown in the anime. 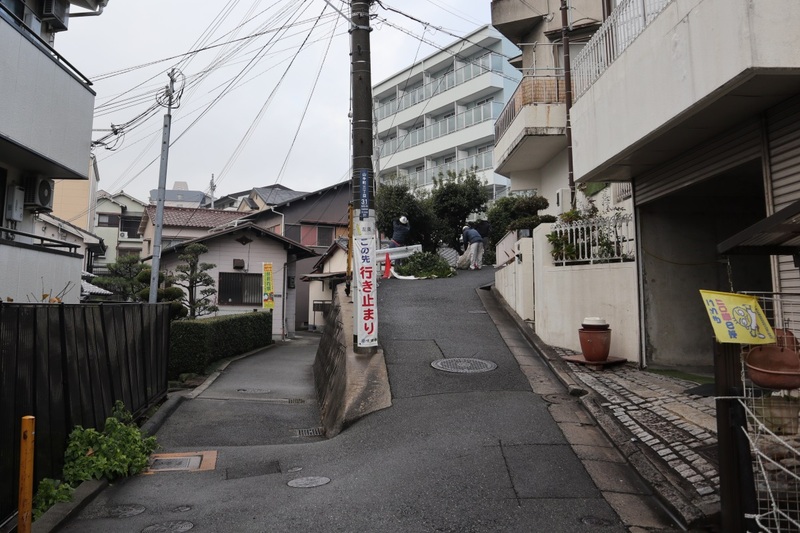 I've marked a path from the side road locations to this place in the map below.